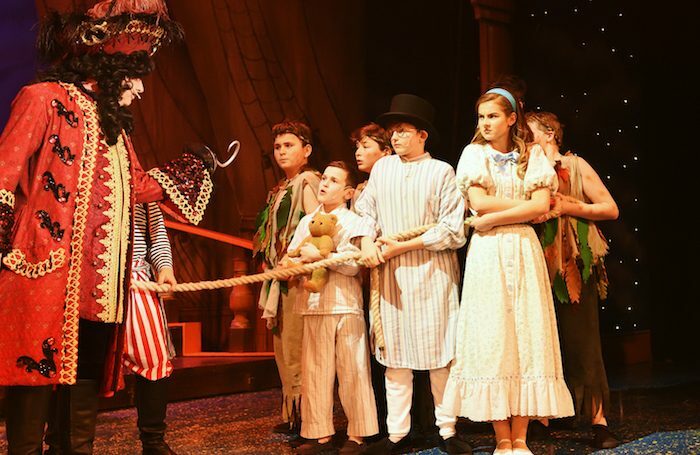 Peter Pan, seen by JM Barrie as his theatrical homage to childhood, is always at its best allying dazzling flying scenes with a sense of unexpected adventure and a suspension of belief – ingredients of decidedly mixed quality at Swindon`s Wyvern Theatre this year. Horsham-based production company One From The Heart is again working alongside giant pantomime purveyors Qdos Entertainment. Technically, this is an eye-catching affair, as Ryan Anderson`s virile Peter Pan and the Darling children skim across the rooftops of London, en route to Neverland. On the adventure side, Adam Woodyatt is a low-key Captain Hook, at his best when being stalked by the crocodile. At other times, Antony Lawrence as a hyperactive Smee seems to be providing the laughter quotient all on his own, while an energetic Danielle Black unusually reboots the Darling family housemaid Eliza as the narrator. Abigail Matthews`s thigh-slapping Tinker Bell does manage one of Barrie`s darker moments in her jealousy of Lucy Pollard`s winsome Wendy and, like the show itself, the sets and costumes are at their most glittering in the aerial scenes. The entire cast is well over the top, though, in the audience participation stakes.